Remove and discard crusts from the bread, then tear the bread into small pieces. Mash the bread pieces and buttermilk to a smooth paste in a large bowl, using a fork. Add the beef, pork, Parmesan, parsley, yolk, garlic, salt and pepper to the mashed bread. Stir the mixture gently until combined and uniform. Gently form the mixture into 1 1/2-inch round meatballs. Bring water to boil in a large saucepan and cook noodles. Heat your oil in a 12-inch non-stick skillet over medium-high heat and brown meatballs in a single layer until nicely browned and cooked through. Transfer meatballs to a plate leaving all cooking oil and browned bits in pan. Turn heat down to medium and whisk in the flour. Cook for a minute and then add the beef broth. Cook and stir until mixture thickens, about 5 minutes. Stir in sour cream. 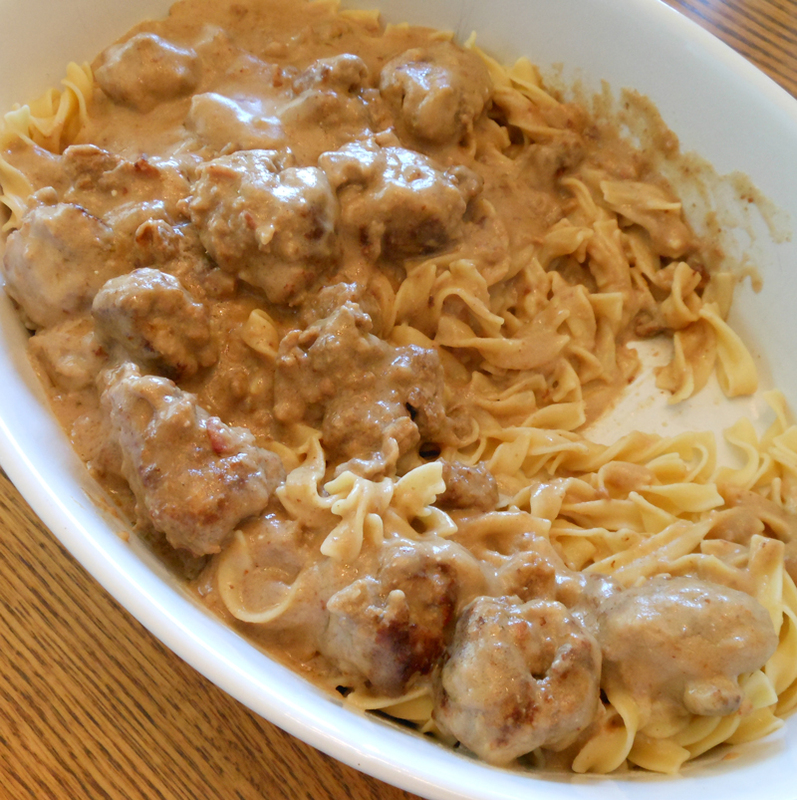 Add meatballs and noodles; toss to coat. Cook and stir until heated through, about 5 minutes.